Accidents are a part of life, but often that doesn’t mean you have to pay for one if it wasn’t your fault. Accidents often lead to injuries, and in many cases, the underlying cause is another party’s negligence. Negligence is a legal term that generally means careless, irresponsible, or unreasonable behavior. If you or your loved one has suffered an injury because someone else was negligent, you may be entitled to financial compensation under the laws of the state of Washington. The dollar amount can be substantial — more than victims sometimes realize. That’s because negligent parties have a duty to pay for the full cost of the damages they cause. 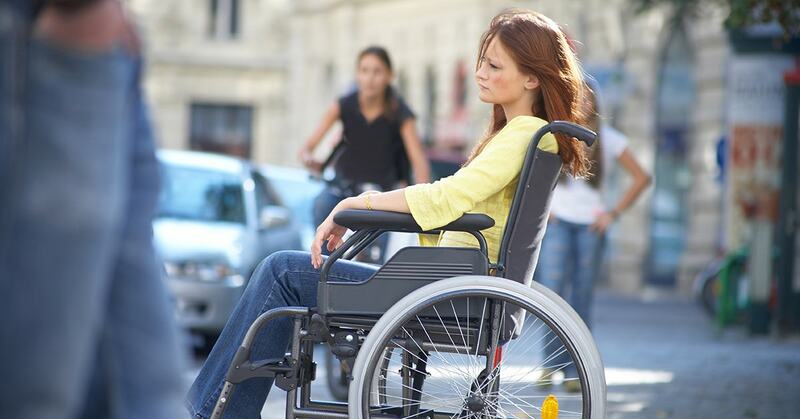 Washington personal injury law is protective of accident victims and their rights. Usually, it is an insurance company that must ultimately pay you what you’re owed. But sadly, some insurance companies reduce or deny payouts on accident victims’ claims — even if those claims are valid and worthwhile. So what does this mean for you and your family if you’re suffering after a vehicle accident, medical injury, dog bite, or some other personal injury? By hiring an experienced Washington personal injury lawyer, you can increase your chances of getting the full financial recovery you really deserve. In a perfect world, insurers and wrongdoers would pay up immediately and automatically — but in the real world, they frequently refuse to do so until an experienced attorney stands up on your side. If you’ve been hurt in a Washington personal injury accident, the Fuller & Fuller Law Firm can help. We are a family of lawyers who fight for the best possible outcome for our clients — and we only charge a fee if we succeed in getting you money. Let a Washington personal injury attorney at Fuller & Fuller start working to maximize your compensation today. We serve injured victims in Tacoma, Olympia, Port Orchard and Puyallup. 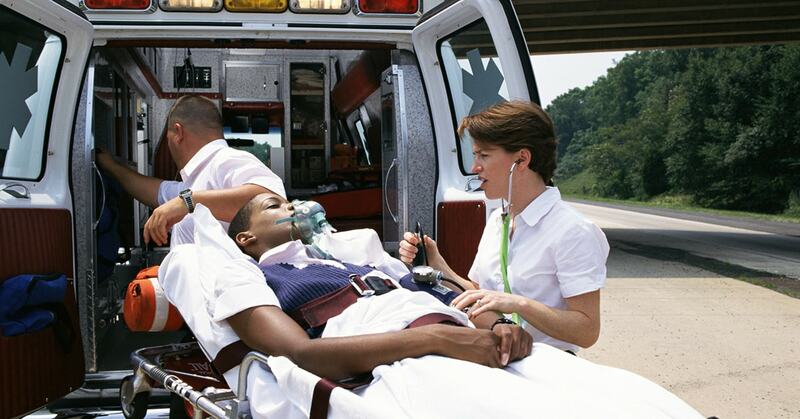 Personal injury is a broad area of law pertaining to many different types of accidents and injuries. Below, we provide a brief overview of some of the most common personal injury accidents in Washington. Car crashes are the most common source of personal injury in Washington, and often, another driver’s careless behavior behind the wheel is to blame. Whether the accident was caused by speeding, distracted driving (e.g. texting & driving), drowsy or drunk driving, a violation of Washington’s traffic laws, or some other instance of negligence, you may be entitled to recover for all your losses. If you hire us as your Washington personal injury lawyer, it is our job to get you the most money possible for your injuries. We are usually able to do that through a private settlement, meaning you never have to step foot in court. But ultimately, whether we go to trial or not, we invest our time and energy in achieving one goal: the largest amount of compensation available to you. A large commercial truck can weigh up to 80,000 pounds when fully loaded. Any crash involving a vehicle that big is capable of causing catastrophic damage to the drivers and passengers of smaller vehicles, not to mention pedestrians. Truck accident litigation is often complicated, and liability extends beyond the driver to employers and insurers. Truck accident cases can involve specific types of negligence, such as driver fatigue or drugged driving. For that reason, truckers’ behavior is governed by state and federal regulation. 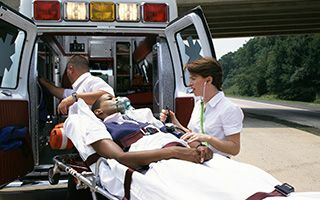 Because these cases are complex and the injuries typically severe, it is in your best interest to get an attorney involved as soon as possible. Other motorists may fail to show motorcyclists the due care and caution they deserve. If you were injured as a biker in Washington, you should know that you have an equal right to use the roads, and motorists have an obligation to show you due care while sharing the highway. Motorcycle accident injuries can be severe and are sometimes deadly. At the Fuller & Fuller Law Firm, we offer sensitive yet experienced and professional legal representation for getting you and your family the fair outcome you deserve. Medical malpractice simply means that a doctor, hospital, or medical provider failed to do what a reasonable care provider would have done. But there is nothing simple about the litigation surrounding most medical malpractice claims. That’s why it is so important that you hire an attorney with real experience in med-mal claims, as well as the resources necessary for properly investigating the injury and presenting a case for substantial damages. If you think you might have a claim involving birth injury, surgical malpractice, anesthesiologist malpractice, failure to treat or diagnose cancer or heart attack risk, medication injuries, or any other kind of medical malpractice, we urge you to contact a Washington personal injury lawyer in our office sooner than later. Strict time limits apply to medical malpractice and most other personal injury claims. No two accidents are exactly alike, so the precise nature of the injuries will always vary from one claim to the next. Below, we provide a list of several injuries, but you should know that almost any personal injury caused by another person’s negligence can be enough to support a personal injury lawsuit in Washington. At the Fuller & Fuller Law Firm, we are committed to the principle that your economic situation should never prevent you from accessing justice. That’s why we offer contingency fee representation for personal injury cases. When you hire a Washington personal injury lawyer at our firm, we will advance all the costs of claim preparation — including our attorneys’ time — for you. You don’t have to pay us one cent unless and until we get you money*. If we do succeed with your claim, the fee for our services is only a portion of your total recovery. Even if you haven’t yet decided whether you want to take legal action, you can call us and schedule a free consultation with no obligations. It’s your opportunity to have your questions answered, consider your options, and learn more about filing a personal injury lawsuit in Washington. What Compensation Can I Receive in a Personal Injury Claim? While the dollar amount available in any given case always depends on the specific facts surrounding the injury, here are some factors which will govern the outcome. These are only general examples. During a free consultation in our office, you can go over the details of your case with a Washington personal injury lawyer and learn more about the damages that might be available in your situation. Please understand that we cannot guarantee specific outcomes. However, by comparing your case to similar cases in and around Washington, we may be able to give you a sense of how much money people in your situation can recover. How Long Will My Personal Injury Case Take to Complete? We do everything we can to resolve your case as quickly as possible. We know you don’t want to spend months or years with this hanging over you; we also know you want money sooner rather than later. After all, we don’t get paid until you do, so time matters to us too. In some cases, it makes sense to move ahead with a claim quickly. But we also don’t want to compromise your best interests. We can give you a better sense of a potential timeframe during your initial consultation. Why Should I Choose Fuller & Fuller? Experience. We have more than 45 years of it. Family. Our attorneys are part of the same family. We treat every case like it affects our own family members. 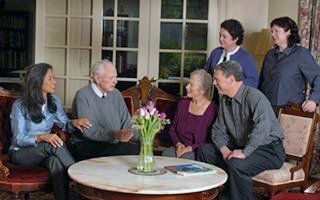 Our family goal is to help your family. Passion. We begin each morning by reminding ourselves that we like our jobs, that the work we do is important, that we care about our clients, and that it is our privilege and duty to protect you and every penny you have coming to you. Resources. Staffing, community contacts, research resources, investigative partners, access to expert witnesses in a wide variety of fields — these things can make all the difference in a Washington personal injury case. We are proud to have those resources available to our firm members. Respect. The Fuller & Fuller Law Firm isn’t one of those law practices that treats its clients like folders in a filing cabinet. We will give you the time and attention you deserve. We treat you like family. Video Testimonials. Take a look at what our previous clients have to say. How do I start a personal injury claim in Washington? Your first step after any personal injury accident should always be to seek medical attention. Visiting a doctor is critical for making sure your injuries are cared for. If you are hurt, delay in seeking medical attention might be called a “gap in treatment” by the insurance company. Seeing a doctor soon after an accident can become an important factor in your personal injury claim later. After getting medical attention, you should schedule a free consultation with a Washington accident attorney as soon as possible. Your lawyer can handle every aspect of the bodily injury claim for you, employing effective strategies to put your best foot forward, and protecting you from making any mistakes on your own. What would I have to prove to win a personal injury case in Washington? The plaintiff was injured as a result of the breach. The defendant’s breach was the legal cause of the plaintiff’s injury. The plaintiff has suffered damages that can be compensated. It is your lawyer’s job to effectively argue each of those elements on your behalf. Of course, many personal injury cases are resolved through negotiation without going to trial. Is the insurance settlement offer fair? Should I just take the money? Many initial insurance settlement offers are not fair. If they were, there would be no need for personal injury lawyers, and the insurance companies wouldn’t be able to report millions or billions of dollars in profit each year. Insurers sometimes make lowball settlement offers to protect themselves, not to benefit you. Ultimately, however, there is no way to know whether an insurance offer is fair in your situation without talking to an attorney first. For that reason, we strongly encourage you to contact Fuller & Fuller Attorneys for a free consultation with a Washington personal injury lawyer today.